Manufacturer of quality fiberglass boats at affordable prices since 1984. 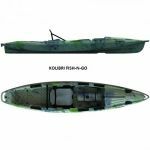 Fiberglass boat, ideal for fishing with different compartments. Fiberglass boat ,fast ,economical and comfort.Ideal for fishing and water activities. Fiberglass boat with console ,fast ,economical and comfort.Ideal for fishing and water activities. Fiberglass boat,fast ,economical and comfort.Ideal for fishing and water activities. Fiberglass boat with console and backseat,fast ,economical and comfort.Ideal for fishing and water activities. Fiberglass boat ,economical and comfort.Ideal for fishing and water activities. Fiberglass boat, covered with an exclusive gelcoat that does not change its color even after years of operation, a V-shaped bottom providing better speed, stability and low fuel consumption. It features stainless steel guns, a large battery compartment, and a self-draining system. Fiberglass boat, very fast, extremely stable, comfortable and economical. Suitable for fishing and water sports. Designed from a fossil double-shell roof with the exception of a gel, it does not change color and after many years of operation, a V-bottom, providing good speed with less engine, stability and low fuel consumption. Different with stainless steel, large center console, removable seat, soft backrest for passengers, large battery compartment, tank, separate compartment, 3 compartments, a soft seat across the boat and a self-extracting system.